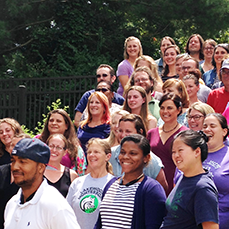 Join Us for an Intensive, Practical, and Inspiring Journey into Montessori School Leadership! CMStep is an innovative, multidisciplinary graduate program for teachers interested in creating hands-on curricula and field studies for students age 12-18. The program involves the mastery of an established body of curriculum and a thorough understanding of the philosophy, program structure, and specific instructional strategies needed by the educator to establish a Montessori secondary program. In addition, there are opportunities for personal transformation through field studies, experiential courses and coaching and supervision.